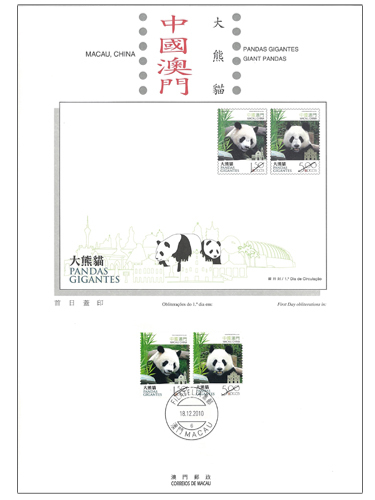 The stamp designer of this issue is Mr. Thomas Au Man Hou, and the text of the information brochure is written by the Civic and Municipal Affairs Bureau. 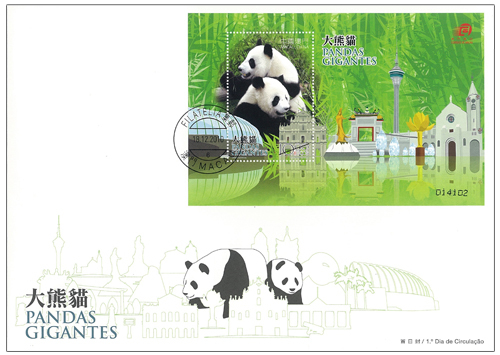 This is the last of the twelve issues in 2010. 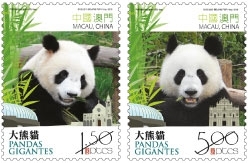 The previous issued stamps are “Lunar Year of the Tiger” on 02/01/2010, “I Ching, Pa Kua VII” on 01/03/2010, “Centenary of International Women’s Day” on 08/03/2010, “EXPO 2010 SHANGHAI CHINA” on 01/05/2010, “60th Anniversary of Bank of China Macau Branch” on 21/06/2010, “World Heritage – St. Augustine’s Square” on 15/07/2010, “Church Windows” on 30/08/2010, “Woodcarving – Macao Religious Figure Carving” on 07/09/2010, “Antique Telephones in Macao” on 09/10/2010, “10th Anniversary of Macau Food Festival” on 05/11/2010 and “Traditional Folk Costumes” on 30/11/2010. 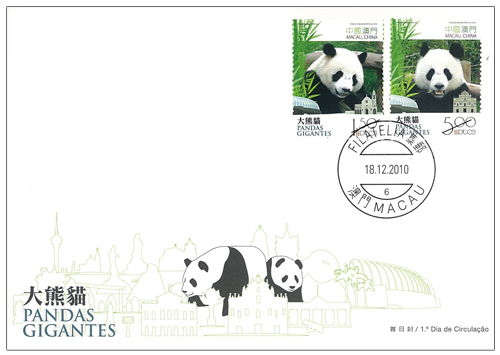 Macao Post will issue a set of two rag doll postcards titled “Giant Pandas” on 18 th December 2010, it will be available for sale at the Macao Post Headquarters, all post offices and postal kiosk “Ruins of St. Paul’s”. 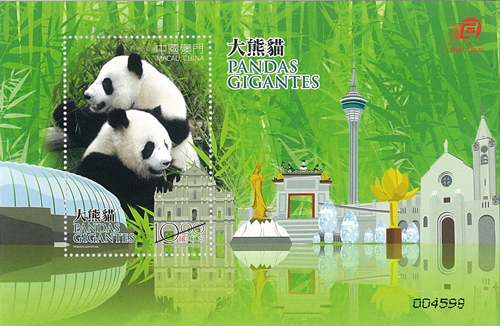 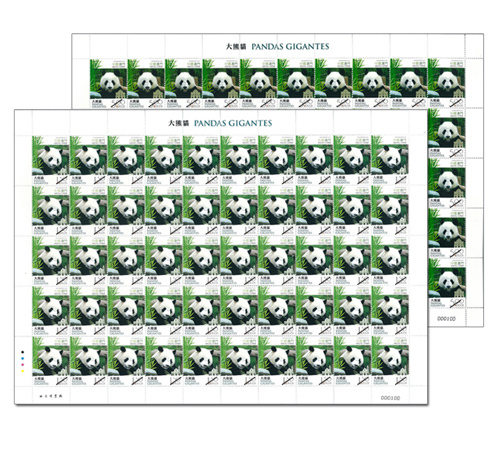 The design of this set of postcard is a pair of cute cartoon giant pandas. 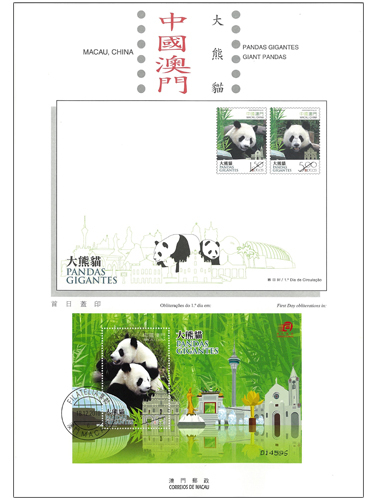 The design concept is different from the traditional postcard, the most distinctive feature is that the postcard can be transformed into a rag doll “Giant Panda” by yourself. 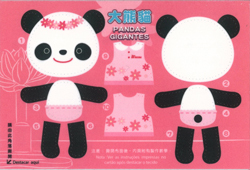 The selling price of a set of two “Giant Pandas ” rag doll postcards is MOP20.00. 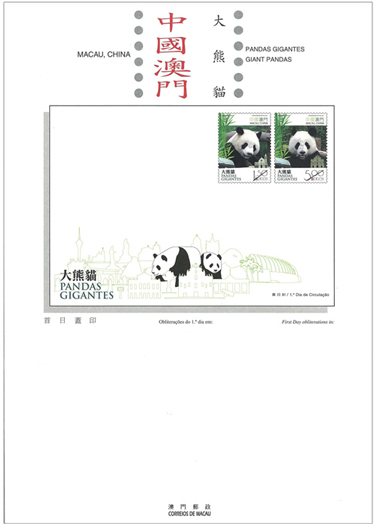 The postcard can be mailed to all over the world. 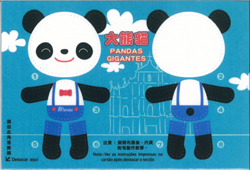 In addition, it can also be transformed into a lovely rag doll for amusement. 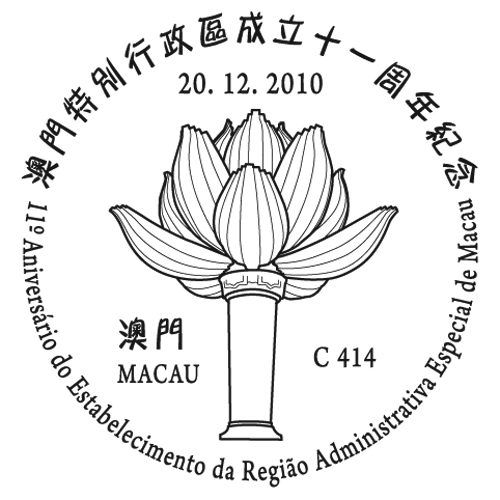 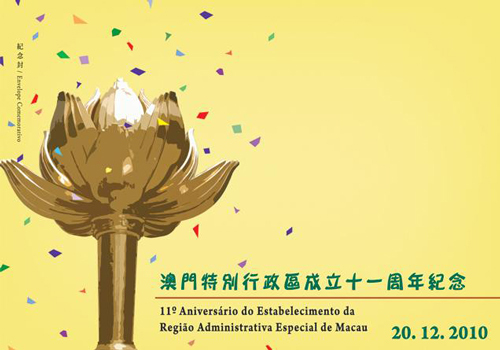 To celebrate the 11th Anniversary of the Establishment of the Macao Special Administrative Region, Macao Post announces that a Temporary Post Counter will be set up at our Philatelic Shop located at Macao Post Headquarters at 9:00 to 17:30 on 20th December 2010 providing the commemorative postmark cancellation service for the “11th Anniversary of the Establishment of the Macao Special Administrative Region”.